SCREEN Holdings는 지난 8일, 시가현 히코네시의 히코네 사업소에 디스플레이 제조 장치와 증착 장비 생산 공장을 건설한다고 밝혔다. SCREEN Holdings에 따르면 새로운 공장의 건설은 기존 장비들의 생산량을 강화하여 시장 점유율을 확대하기 위한 목적으로써, 총 공사비는 20억엔이 투입되며 완공 예정은 10월이다. SCREEN Holdings는 이번 투자를 바탕으로 미세화가 요구되는 OLED를 비롯한 flexible display 제조 장비 생산에 대응 할 수 있는 청결한 환경을 구축할 수 있을 것으로 기대했다. 한편, SCREEN Holdings 2017년 7월 차량용 OLED 생산 장비를 공개한 바 있으며 11월에는 6세대 OLED TFT용과 TSP용 slit coater를 공개 하는 등 꾸준히 OLED 관련 장비를 선보이고 있다. 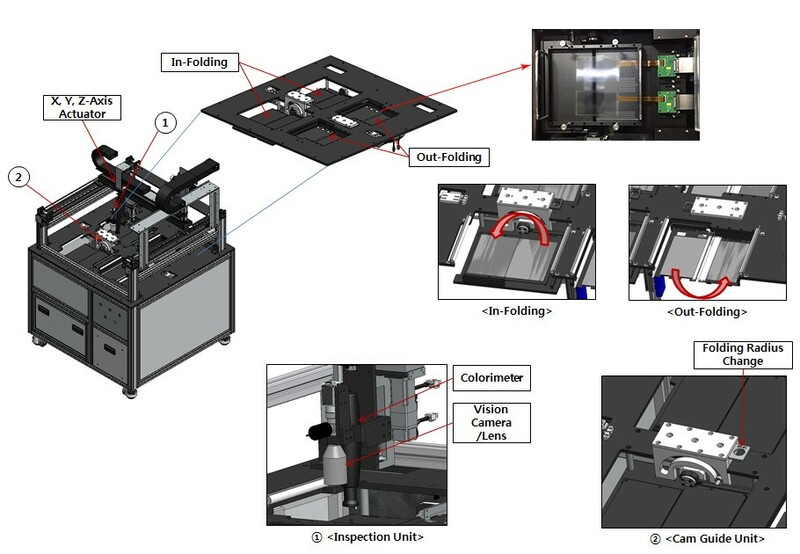 중소형 OLED 검사에 사용되는 AOI(automated optical inspection) 장비는 제품에 빛을 조사하여 그 반사되는 빛의 광량의 차이를 통해 결함의 유무를 분석하는 비접촉 검사장비다. AOI 장비는 반복되는 패턴의 비교를 통해 차이를 인지하여 패턴 불량을 검출 할 뿐만 아니라 mask 이물과 LLO(laser lift off) 공정 전후로 기판 이물의 검출도 가능하다. 이로 인해 AOI 장비는 TFT 패턴 검사와 mask 이물 검사, OLED 화소 검사, encapsulation 검사, LLO 전후 기판 검사 등 거의 모든 OLED 공정에 사용되고 있다. AOI 장비를 생산하는 주요 업체는 HB Technology와 DIT, HIMS, LG PRI가 대표적이다. HB Technology와 DIT, LG PRI는 OLED 공정에 적용 되는 거의 모든 AOI 장비를 생산하고 있으며, HIMS는 mask 이물 검사용 AOI를 대표적으로 생산하고 있다. 유비산업리서치가 최근 발간한 ‘2017 Inspection and Measuring Equipment Report for OLED Mobile Device’에 따르면, OLED 전체 장비 시장 중 검사 · 측정장비 시장은 2017년부터 2021년까지 총 66.3억 달러(약 7.3조원) 규모가 될 것으로 전망하고 있다. 이 중 AOI 장비는 23.3억 달러를 형성할 것으로 전망했다. 공정별로 살펴보면 TFT에 사용되는 AOI 장비 시장은 13.6억 달러의 가장 큰 시장을 형성할 것으로 분석하였으며 OLED 화소 공정용 AOI 장비 시장 4.3억달러, encapsulation용 AOI 3.9억달러, cell 공정은 1.6억 달러의 시장을 형성할 것으로 분석했다. 유비리서치의 윤대정 연구원은 “OLED 공정 중 AOI 장비를 통해 불량을 검출하고 repair를 하면 수율을 향상시킬 수 있으며 결함 제품의 추가 공정을 방지하여 품질 비용을 절감할 수 있다는 측면에서 AOI 장비의 부가가치를 발견할 수 있다”며 “AOI 장비가 기술적으로도 발전하면서 panel 업체들도 AOI 장비를 적극적으로 도입하여 검사항목을 점점 강화되는 추세이기 때문에 AOI 시장은 더 큰 규모의 성장이 기대된다”라고 밝혔다. 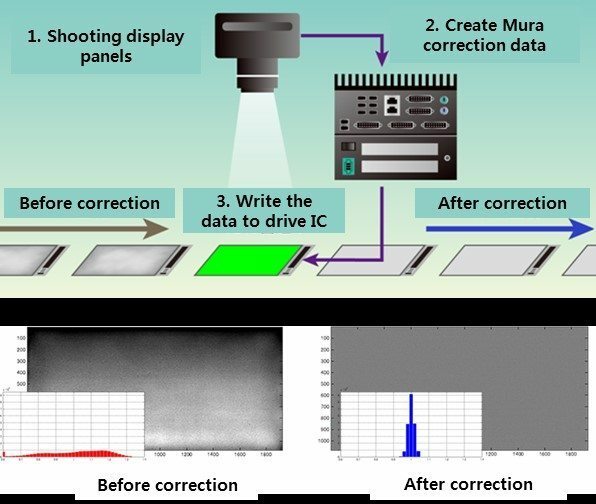 Cybernet system Co., Ltd. of Japan revealed that a display driver IC including the function of Mura correction IP for OLED display, has been jointly developed with a semiconductor manufacturer. 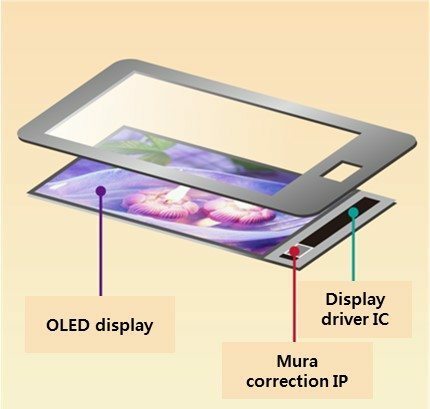 The driver IC for OLED display including the newly developed function of Mura correction is scheduled for starting to distribute it from June, 2017 to the market, aiming to a wide use IC and another for specific customers. They have plans to notify later regarding where will be distributed, when will be started for sales and what is the detailed specification of ends product. 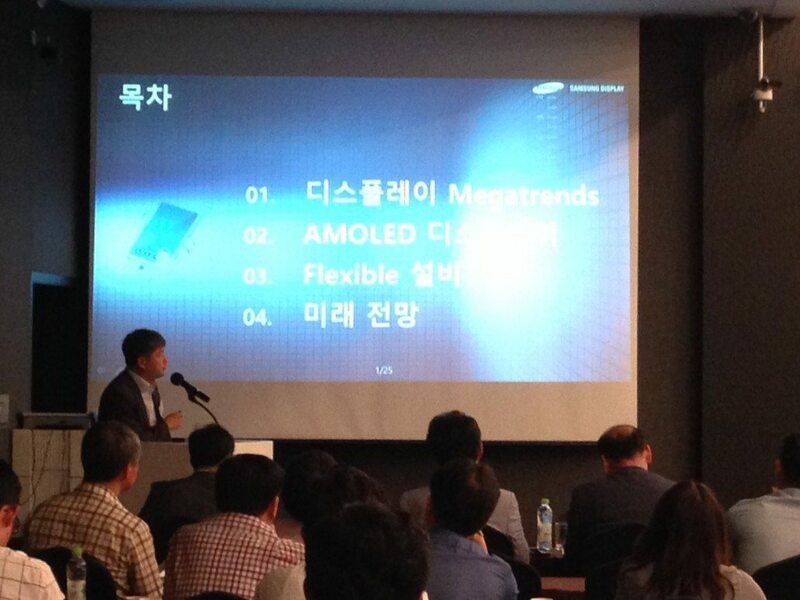 On the first day of OLED Summit 2016, presentations on Intel and OTI Lumionics for PC AMOLED panel were held. 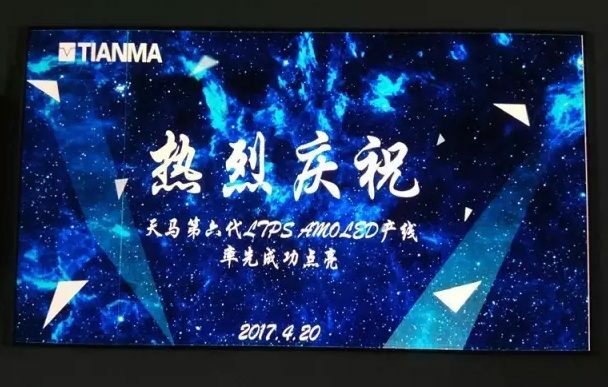 Both of these two companies presented on topics of current situation analysis for PC AMOLED panel and upcoming opportunities, and noted that there is a long way to go for AMOLED panel for PC. On January 2016, Lenovo presented the introduction of world’s first OLED laptop ‘X1 Yoga’ with 14-inch 2550×1440 resolution AMOLED panel, and HP also presented the introduction of 13,3-inch 2560×1600 resolution OLED laptop ‘Specter X360 hybrid laptop/tablet’. Also in CES2016 held early this year, Samsung introduced ‘Galaxy Tab Pro S’ where they seem to prove the possibility of AMOLED panel for PC. However, both Intel and OTI Lumionics explained AMOLED panel lacks in power consumption, brightness, lifespan, and price compared to LCD. OTI Lumionics showed the results of three products, Galaxy Tab Pro S, X1 yoga, and Mac book, emphasizing the need for improvements in AMOLED panel for PC. Especially, OTI Lumionics CEO Michael G. Helander said, “as a result of burn-in test of AMOLED product for PC, it decreased to under LT97 in 80 hours, and it is an especially important factor for office PC which runs daily average of 7 hours. Considering that products with AMOLED panel are at premium level, it must be improved 10 times better compared to now”, emphasizing the reduction of burn-in phenomenon after the lifespan of PC AMOLED panel being improved. Intel John F. Jacobs said “although OLED has big issues in lifespan and power consumption in white environment, the recent trend of PC tend to utilize contents with various color compared to existing office or internet-based white environment where the white background tend to decrease. 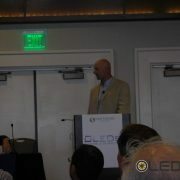 It can be a new opportunity for OLED”, emphasizing the opportunity of OLED. In order for white realization, AMOLED panel must drive all sub pixel of RGB. 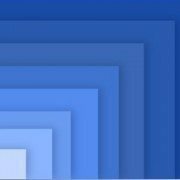 So in regular PC environment where white background is normally used such as office program or internet browser, AMOLED panel is mainly applied in special monitors such as medical and broadcasting due to issues of increasing power consumption and comparatively decreasing lifespan. However, as Intel presented, considering that the PC environment is gradually changing and the lifespan of OLED is continuously improving, it is expected that AMOLED panel will have a bright future with PC as well. While emphasizing high contrast range, fast response speed, wide viewing angle which are the strength of OLED, it is analyzed that the development of OLED luminescent material must be the main point in extending the OLED industry. http://olednet.com/wp-content/uploads/2016/09/160922_1-2.jpg 649 866 OLEDNET /wp-content/uploads/2015/09/logo_oled.png OLEDNET2016-09-23 09:48:092018-07-11 21:27:35[OLED summit 2016]AMOLED panel Application, will it succeed in extension to PC? It is expected that large area OLED panel pixel formation technology, which is possible only using solution based and SMS(Small mask scanning) so far, gets possible using FMM process. DAWONSIS developed the technology downward deposition method by joule heating, to make mass production of large area display panel possible and to enhance efficiency of material usage more than two times. Joule heating deposition is the technology that if one induces voltage in conductive film, due to resistance, it can increase surface temperature rapidly only with low energy, so evaporate organic materials films formed on conductive film rapidly only with low energy. One forms organic material films on source substrates, and deposits the organic material films on panel positioned at down side whole at a time by using Joule heating. In order to make OLED TV by using RGB method, solution process can be also strong candidate. But lack of efficiency of soluble luminous material and its life time, it cannot be applicable to mass production. If one adopts the deposition technology that DAWONSIS developed, real RGB structure can be realized in OLED TV panel by using FMM process, since it uses conventional deposition materials as it is, efficiency and life time can be guaranteed. 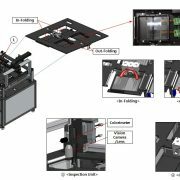 We expect that DAWONSIS’s new deposition technology can make an impact on large area OLED panel fabrication technology. http://olednet.com/wp-content/uploads/2016/09/160912_1.png 420 940 OLEDNET /wp-content/uploads/2015/09/logo_oled.png OLEDNET2016-09-12 17:15:152018-07-11 21:29:32A fabrication of large area OLED TV gets possible by FMM process. DAWONSIS, develops downward deposition method by joule heating. In order to respond to the outpouring Chinese large area LCD, it is analyzed that carrying out investment to turn large area LCD line into OLED is the most reliable method. According to 2016 OLED Manufacturing Equipment Annual Report, recently published by UBI Research, Chinese and Taiwanese panel companies’ Gen8 or higher LCD mass production line is 690K in total as of Q1 2016. This is higher than Korea’s Gen8 LCD capa. Even now, China is showing active movements in additional establishment of large area LCD mass production line. 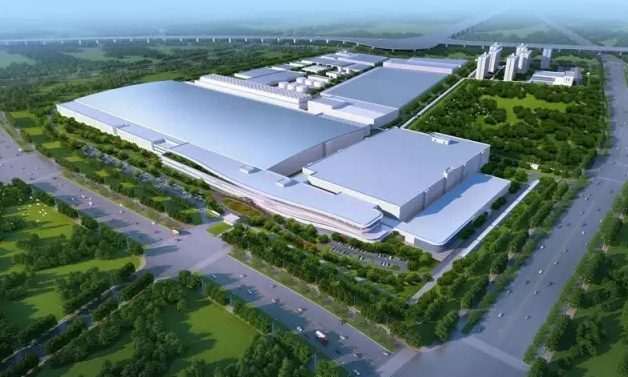 UBI Research forecasts that in 3 years, China and Taiwan’s new large area LCD mass production line will reach up to 80% of the Korea’s current mass production capa. The report emphasizes that to fight against this great supply volume from Great China region, Korean panel companies should change the large area LCD line to OLED. In case of Gen8 line, unlike small-to-medium size line, the LCD line can be cost effectively transformed to OLED line. As such, it is considered to be the main object for the complementary investment. Particularly, if oxide TFT, which has few photomask processes, and WRGB+CF technologies are applied, existing large area a-Si LCD line’s manufacturing equipment can continue to be used. UBI Research explained that an advantage of complementary investment is the fact a-Si LCD line’s backplane equipment and color filter equipment can continue to be used. 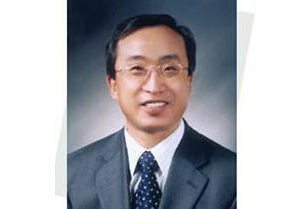 He further added that in order to maximize a-Si line’s capa., development of TFT process with few photomask processes is a necessity. 중국이 앞으로 3년후면 한국의 현재 대형 LCD 양산라인의 80%에 달하는 규모의 신규 대형 LCD 라인을 갖추게 될 전망이다. 유비산업리서치가 최근 발간한 ‘2016 OLED Manufacturing Equipment Annual Report’에 따르면 오는 2018년말까지 중국과 대만에서 투자가 결정되거나 검토되고 있는 대면적 LCD의 양산라인 월 생산능력(캐파)는 총 525k다. 이는 유비산업리서치가 BOE, HCK, CEC Panda, CSOT, AUO, Innolux 등 중국과 대만 업체들의 2016년 3분기부터 2018년 4분기까지 투자 계획을 조사해본 결과다. 이 계획이 차질 없이 진행된다고 가정하면 2018년 4분기까지 발주를 마치고 이후 장비 설치 등을 거쳐 가동 준비가 완료되는 시기는 지금부터 3년 후인 2019년이 될 것으로 예상된다. 월 525k는 현재 한국의 대형 LCD 양산라인의 80%에 달하는 규모다. 월 525k의 신규라인이 가동을 시작한다면 대형 패널 공급과잉이 본격적으로 나타날 것으로 보인다. 유비산업리서치 관계자는 “중국과 대만의 양산라인 투자가 계획대로 진행된다면 향후 한국과 일본에서 생산되는 대면적 LCD는 중국 패널에 대한 경쟁력을 갖기 쉽지 않을 것”이라고 내다봤다. China is expected to possess 80% worth of new large size LCD line of current Korean large size LCD mass production line after 3 years. According to 2016 OLED Manufacturing Equipment Annual Report, recently published by UBI Research, the total monthly production capa. 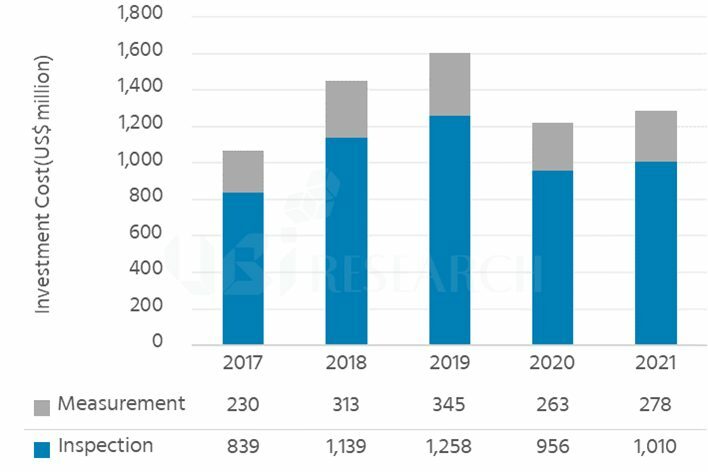 of large area LCD mass production line that has been confirmed or being considered for investment in China and Taiwan until the end of 2018 is 525K. This is based on the results of UBI Research’s investigation on Q3 2016 – Q4 2018 investment plans of Chinese and Taiwanese companies including BOE, HCK, CEC Panda, CSOT, AUO, and Innolux. 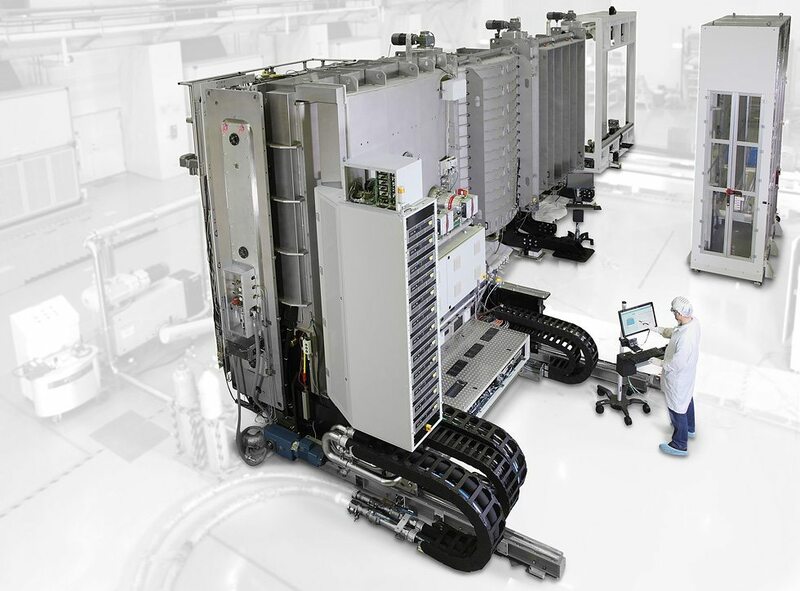 If the plan is carried out without any issues, the order is expected to be completed by Q4 2018, and after equipment installation, the lines are to be ready to operate in 2019. The monthly capa. 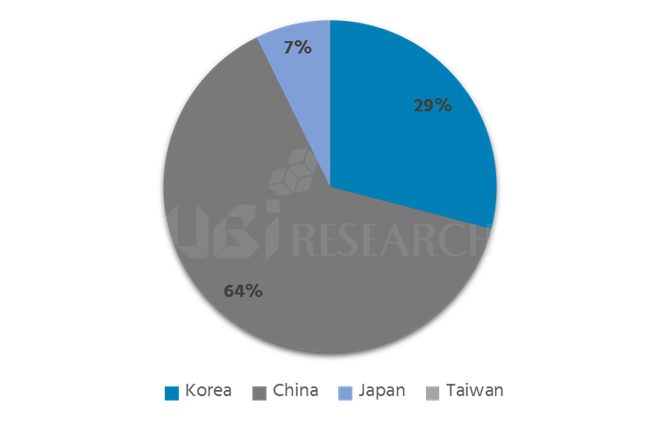 of 525K is 80% of the current total LCD mass production line of Korea. Once 525K new lines begin to operate, oversupply of large size LCD panel is expected to actively occur. UBI Research estimated that if China and Taiwan’s large area LCD investment is carried out according to plan, it will be difficult for Korean and Japanese large size LCD panel to compete against Chinese panel. 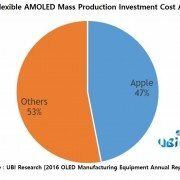 AMOLED manufacturing equipment market for Apple’s use for 5 years, 2016-2020, is expected to reach USD 13,000 million. 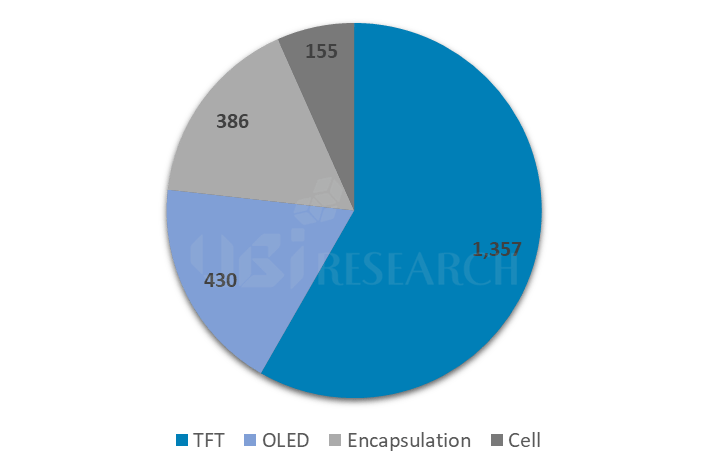 According to 2016 OLED Manufacturing Equipment Annual Report, published on 7 July by UBI Research, the global Gen6 flexible AMOLED manufacturing equipment market is expected to record USD 28,411 million in 2016-2020. 47% of this is for Apple’s use with USD 13,000 million. The figure is if Apple applies flexible panel to some new models of iPhone to be released in 2017, and all new models to be released in 2018. Apple occupies approximately 15% of the total smartphone sales with over 200 million units per year. As such, it is expected to have great impact on future exible panel market expansion. In 2021, global flexible AMOLED panel shipment is estimated to exceed 1,000 million units. 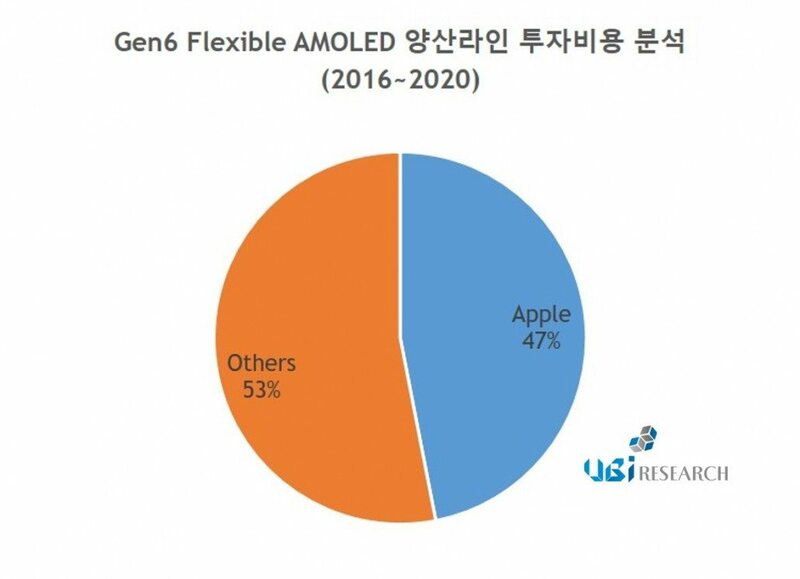 UBI Research forecasts Apple iPhone’s flexible panel will occupy 20% of the total flexible AMOLED shipment in 2017, and exceed 50% in 2021. 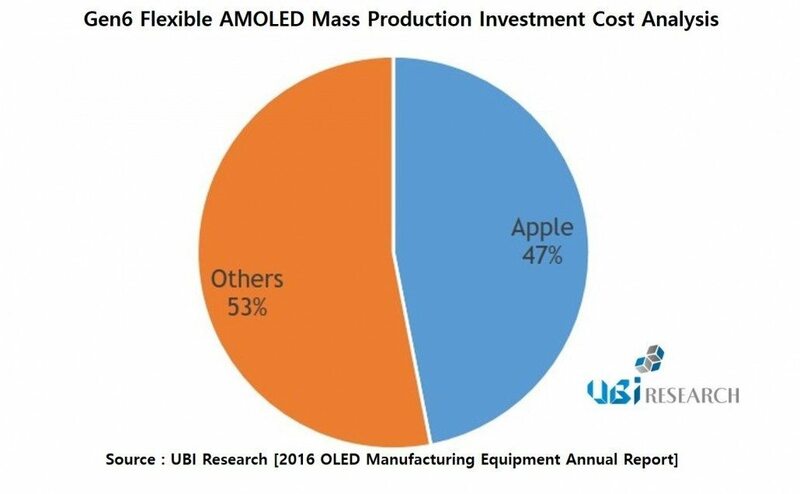 UBI Research explains that in order to meet Apple’s flexible AMOLED panel demand, the required panel production capa. is analyzed to be 30K per month in 2017, and total 300K per month in 2021. Furthermore, panel companies’ mass production line is expanding accordingly, and Samsung Display in particular is expected to invest 30K per year directed to Apple. 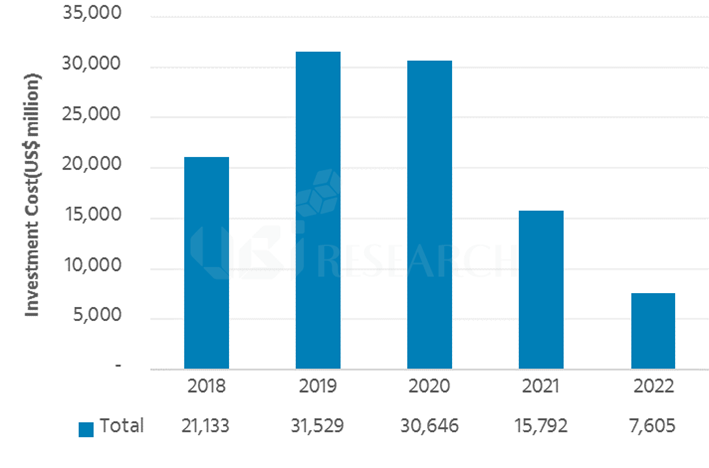 UBI Research’s latest report forecasts that the total OLED manufacturing equipment market to record approximately USD 43,927 million in 2016-2020. 삼성디스플레이 노철래 상무가 기조연설을 하고 있다. 한국 OLED 산업이 글로벌 시장에서 주도권을 잃지 않으려면 생산 비용을 낮춰줄 수 있는 설비 기술이 관건이라고 전문가들이 입을 모았다. 5일 서울 삼정호텔에서 산업통상자원부 주최 한국디스플레이산업협회가 개최한 OLED 프론티어 3차 포럼 ‘OLED 장비산업의 오늘, 그리고 내일’에서 업계 및 학계 전문가들은 OLED 장비 기술 발전에 방향성에 대해 논했다. 기조연설을 맡은 삼성디스플레이의 노철래 상무는 “플렉시블 OLED는 1세대 커브드, 이어 2세대 벤더블, 3세대 폴더블과 롤러블을 거쳐 4세대 디포머블, 스트레처블까지 발전할 것”이라며 “미래 디스플레이인 플렉시블 OLED 시장은 혁신적인 설비 개발이 전제조건”이라고 강조했다. 노 상무는 “디스플레이 시장의 성패는 고품질, 고성능 플렉시블 디스플레이 제품을 생산하기 위한 장비기술의 조기 확보에 달렸다”며 “소재와 공정의 혁신을 통해서 제조원가를 낮추는 국산 장비기술을 개발해야 한다”고 말했다. 또 다른 연사인 Kateeva의 배경빈 부사장은 OLED 생산에 있어서 비용 절감을 위한 설비로 잉크젯 공정의 우수성을 강조하며 자사가 잉크젯 기반 RGB 공정을 개발하고 있다고 강조했다. 배 부사장은 “2년 내에 양산라인에 잉크젯 RGB 장비를 공급할 수 있을 것”이라고 내다봤다. 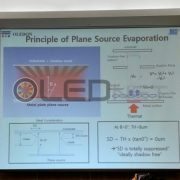 김경수 한국디스플레이산업협회 부회장도 “한국이 OLED 시장에서도 주도권을 가지려면 현재 증착공정 방식을 잉크젯 프린트 공정으로 전환해야 하며 전문인력을 양성해야 한다”고 했다. AMOLED의 roll to roll 비전과 개발 역량에 대해 발표한 성균관대학교 정호균 석좌교수는 “roll to roll이라고 해서 반드시 프린팅이라고만 생각할 필요는 없겠다”며 “한 한국 기업에서 증착을 이용한 roll to roll 장비가 개발되고 있으며 문제는 백플레인”이라고 설명했다. 한편 이날 포럼에서는 중국, 일본이 빠르게 한국의 OLED 산업 추격에 나서고 있다는 점이 지적됐다. 이에 한국이 대응하기 위해서는 정부와 산학연의 긴밀한 협력이 필요하다는 의견도 제기됐다. 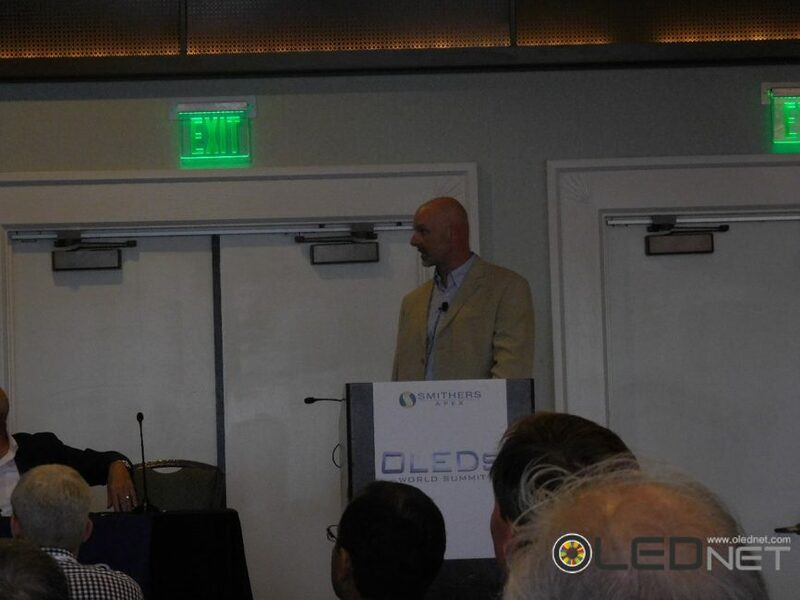 http://olednet.com/wp-content/uploads/2016/07/IMG_5503.jpg 1224 1632 OLEDNET /wp-content/uploads/2015/09/logo_oled.png OLEDNET2016-07-05 18:34:132018-07-11 21:38:13"한국 OLED 경쟁력, 제조 비용 줄여줄 장비 기술에 달려"
Applied Materials is expected to show Q2 display manufacturing equipment sales increased by almost 6 times bolstered by OLED market growth. 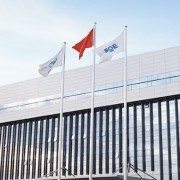 Digitimes recently quoted Applied Materials’ greater China account general manager Kuo Yi-tze and reported that the company’s Q2 2016 order value for the display manufacturing equipment is estimated at USD 700 million. This is a 5.8 times increase compared to USD 120 million in Q2 2015. 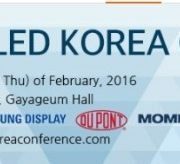 Particularly, the demand by Korean panel companies, including Samsung Display and LG Display, is rapidly increasing. Furthermore, Chinese panel companies are also actively taking action to catch up to Korean panel companies’ technology and production ability. Applied Materials estimates that the global shipment of mobile device OLED panel for smartphone, smartwatch, etc. will increase from 2016’s 353 million to 2020’s 799 million units. 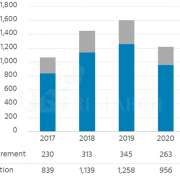 Furthermore, automotive OLED panel shipment is expected to increase from 2016’s 134 million to 2020’s 176 million units. 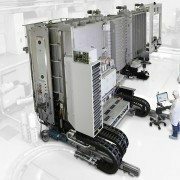 Applied Materials has seen orders for OLED equipment increasing, especially from South Korea-based panel makers, and its second-quarter 2016 order value for the display equipment segment is estimated at US$700 million, 5.8 times the US$120 million recorded for second-quarter 2015, according to Applied Materials’ greater China account general manager Kuo Yi-tze for AKT Display Business Unit. South Korea-based panel makers take significantly lead in OLED technology and production and China-based fellow makers are making efforts to catch up, Kuo said. 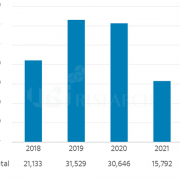 Demand for OLED panels mainly comes from growing application to smartphones and smart watches, with global shipments of OLED panels used in mobile devices to increase from 353 million units in 2016 to 799 million units in 2020, Kuo indicated. In addition, global shipments of OLED panels used in automotive displays will increase from 134 million units in 2016 to 176 million units in 2020, with a CAGR of 9% in unit shipments and 12% in area shipments during 2016-2020 Kuo noted. 어플라이드 머티어리얼즈( Applied Materials )가 OLED 시장 성장에 힘입어 올해 2분기 디스플레이 장비 매출이 6배 가까이 늘어날 것으로 예상된다. 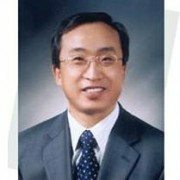 최근 디지타임즈는 Applied Materials 관계자의 말을 인용해 이 회사가 2016년 2분기에 받은 디스플레이 장비 주문이 미화 약 7억달러어치에 달한다고 보도했다. 이는 전년동기의 1억2000만달러보다 5.8배 증가한 수치다. 특히 삼성디스플레이, LG디스플레이 등 한국의 패널 업체들로부터 장비 수요가 빠르게 증가하고 있다. 또 중국 패널 업체들 역시 한국 패널 업체의 기술력과 생산력을 따라잡기 위해 적극 나서고 있는 상황이다. 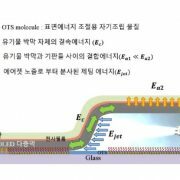 Applied Materials는 스마트폰, 스마트워치 등 모바일용 OLED 패널의 전세계 출하량이 2016년 3억5300만개에서 2020년 7억9900만개 늘어날 것으로 보고 있다. 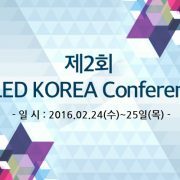 또 전세계 자동차용 OLED 패널 출하량은 2016년 1억3400만개에서 2020년 1억7600만개로 증가할 것으로 예상하고 있다. 캐논 토키( Canon Tokki )가 급속도로 증가하는 OLED 수요에 대응하기 위해 진공 증착 장비 생산 캐파를 2배로 확대할 것이라고 로이터가 최근 보도했다. 보도에 따르면 진공 증착 장비 선두 업체인 토키는 OLED 양산을 위한 진공 증착 장비에 대한 주문이 크게 밀린 상태다. 이 회사의 현재 캐파를 기준으로 보면 향후 몇년치의 주문이 밀려있다. 몇몇 외신들에 따르면 토키는 LG디스플레이의 장비 주문을 거절하고 말았다. 이미 삼성디스플레이의 주문만으로도 토키의 캐파가 꽉 차있기 때문이다. 이 때문에 토키는 올해 안에 장비 생산 캐파를 2배로 늘린다는 계획이다. 토키의 CEO는 “애플이 차기 제품에 OLED를 채용한다는 소식에 시장이 번성하고 있다”고 말했다. 한편 최근 일본의 다이니폰프린팅도 시장의 OLED 수요에 대응하기 위해 증착 마스크 생산 캐파를 3배 늘릴 것이라고 일본 언론이 보도한 바 있다. 다이니폰프린팅은 전세계 증착 마스크 시장 50%이상의 점유율을 차지하고 있는 업체다. 국내에서는 LG전자로부터 인베니아가 약 320억원 규모, 아바코가 약 52억6천억원 규모의 OLED 제조장비 공급 계약을 이달 수주한 바 있다. 이처럼 OLED 시장의 폭발하는 수요에 장비 업체들의 움직임이 분주하다. Japan’s Nikkei recently reported that Japan’s Dai Nippon Printing will expand their capa. by 3 times. Dai Nippon Printing occupies 50% of the global OLED evaporation mask market as a dominating leader of the market. 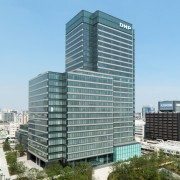 Dai Nippon Printing is planning to invest USD 54.6 million in stages until 2020. Through this, the company is striving to strengthen their position as the evaporation mask leader in the OLED market where a rapid growth is expected. Evaporation mask is used when red, green, and blue emitting materials are coated in order to produce OLED panel production. The performance of the mask is directly related to increasing the panel resolution. 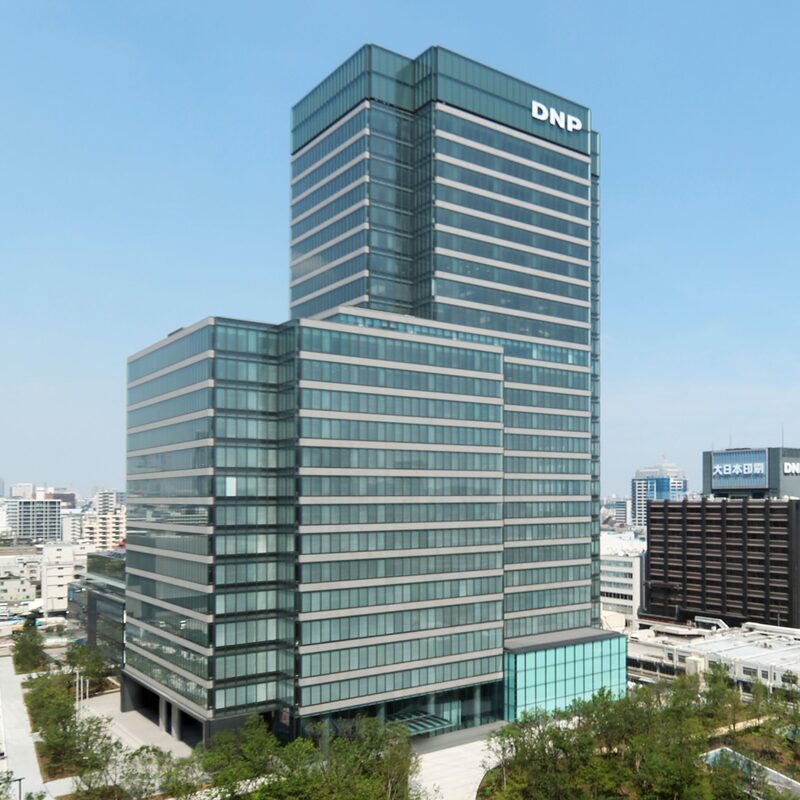 Dai Nippon Printing is aiming to increase their client base in future and achieve revenue of JPY 30,000 million in 2020, which is 3 times higher than the current revenue. Nikkei also reported that Japan’s Screen Holdings began manufacturing equipment to mass produce OLED panel. 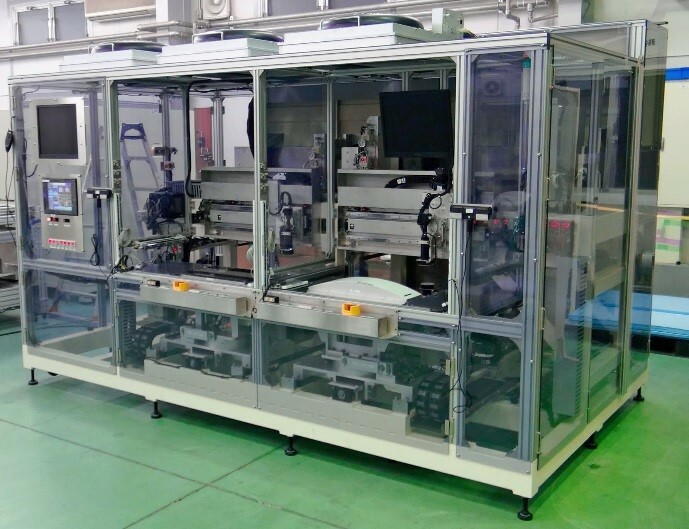 The company only handled test production manufacturing equipment, but they recently developed product compatible with Gen6 substrate, and began supplying to panel mass production line from April. The manufacturing equipment is used to coat polyimide, high performance resin to produce OLED panel. 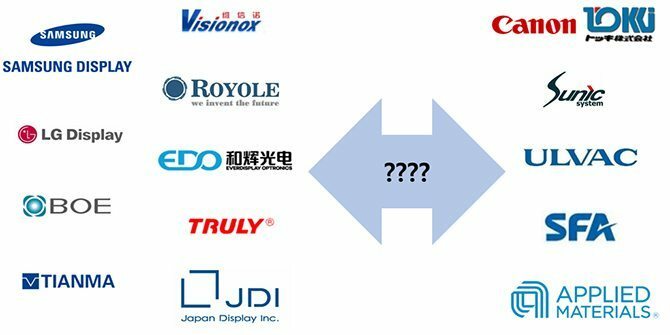 Display related Japanese industry, following Korean and Chinese, is also busy to seize the OLED market, which is expected to rapidly grow. 일본도 OLED 시장 성장에 부지런히 대응하고 있다. 일본의 다이 니폰 프린팅( Dai Nippon Printing )이 자사의 캐파를 3배로 늘릴 계획이라고 니케이 신문이 최근 보도했다. 다이 니폰 프린팅은 전세계 OLED 증착용 마스크 시장의 50% 점유율을 차지하는 이 시장의 압도적인 리더다. 다이 니폰 프린팅은 오는 2020년까지 5460만달러(한화 약 650억원)를 단계적으로 투자할 예정이다. 이를 통해 고성장이 예상되는 OLED 시장에서 증착용 마스크 분야 리더의 입지를 더 강화할 방침이다. 증착용 마스크는 OLED 패널 생산을 위해 레드, 그린, 블루 발광재료를 코팅하는 데 사용되는 것으로, 증착용 마스크의 성능은 패널의 해상도를 높이는 데 직접적으로 연결된다. 다이 니폰 프린팅은 앞으로 고객사를 더 늘려 2020년에 현재보다 3배 늘어난 매출인 300억엔(한화 약 3269억원)을 달성한다는 목표다. 한편 일본 교토에 본사를 둔 스크린홀딩스( Screen Holdings )도 OLED 패널 양산을 위한 장비 생산에 들어갔다고 니케이는 전했다. 그동안 이 회사는 시험생산 장비만 있었지만 최근 6세대 기판과 호환되는 제품을 개발했고 이를 지난 4월부터 패널 양산라인에 공급하기 시작했다. 이 회사의 장비는 폴리이미드, 고성능 레진을 기판에 코팅해 OLED 패널로 만드는데 사용된다. 이처럼 한국, 중국에 이어 일본 디스플레이 관련 업계도 고성장이 예상되는 OLED 시장을 잡기 위해 채비에 분주하다. On 9 September, AIXTRON, a deposition equipment production company, revealed that they supplied encapsulation equipment OPTACAP to a major Asian display maker. OPTACAP encapsulation is a research equipment that handles substrates size of 200mm x 200mm. 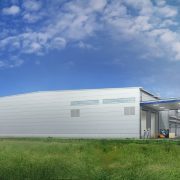 AIXTRON revealed that this was ordered in the third quarter in 2015 and is scheduled to be delivered in the first quarter of 2016. The OPTACAP’s PECVD technology enables the deposition of barrier film used in TFE process of OLED display, OLED lighting, organic photovoltaic and flexible electronic device. 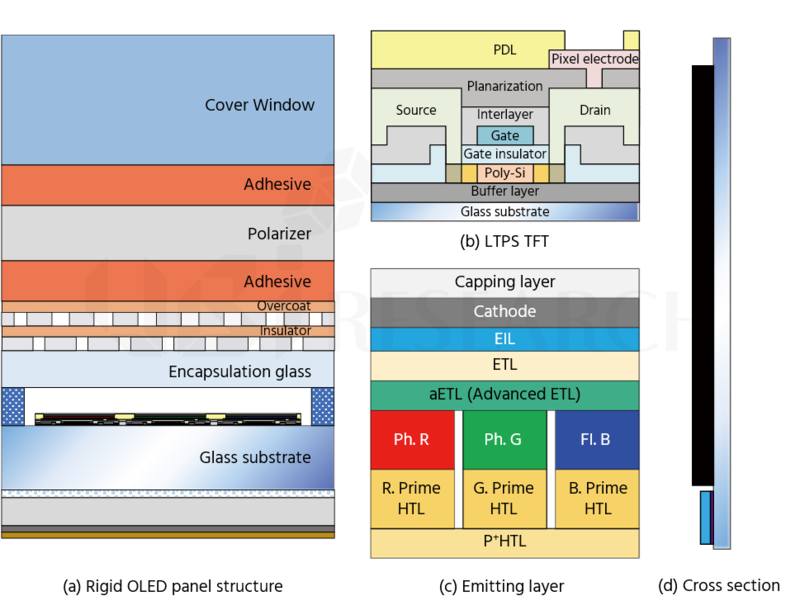 CTO (chief technology officer) of AIXTRON, Andreas Toennis, said, “thin-film encapsulation is an essential step within the OLED manufacturing process. Therefore, we are delighted to be able to provide an innovative solution to the industry which delivers excellent barrier films at high throughput. 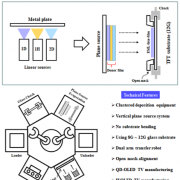 Therefore, this solution contributes to a significant reduction of manufacturing costs for the critical encapsulation process step within the production of flexible as well as rigid OLED devices”. In April 2015, AIXTRON acquired PlasmaSi, located in Silicon Valley in order to develop OPTACAP encapsulation technology. 증착장비 생산 기업인 AIXTRON은 9월 9일 OPTACAP라는 이름의 encapsulation 장비를 아시아 주요 디스플레이 생산 업체에 공급했다고 밝혔다. OPTACAP encapsulation 장비는 200 mm x 200 mm size이며, R&D에 활용될 것으로 밝혔다. AIXTRON사는 “이 장비가 2015년 3분기에 주문되었으며 2016년 1분기에 출하될 예정이다. 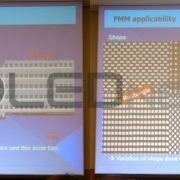 또한 OPTACAP 장비의 PECVD 기술을 통해 OLED 디스플레이와 OLED 조명, 유기 광전지 등의 제조 공정 중 TFE에 사용되는 barrier film을 증착할 수 있다”라고 발표하였다. 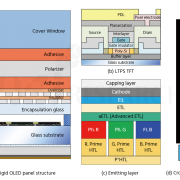 AIXTRON SE.의 CTO(최고 기술 책임자)인 Andreas Toennis는 “TFE는 OLED 제조공정에서 필수적인 과정으로 AIXTRON는 고품질의 barrier film을 빠르게 형성하는 공정에 대한 솔루션을 개발하였다. 이 솔루션은 rigid OLED뿐만 아니라 flexible OLED의 핵심적인 공정인 encapsulation 과정에 들어가는 생산 단가를 크게 감소시켜줄 것으로 기대된다.“라고 말했다. 한편 OPTACAP encapsulation 기술을 개발하기 위해 AIXTRON은 2015년 4월, 실리콘밸리에 위치되어있는 회사인 Plasma Si를 인수한 바 있다. 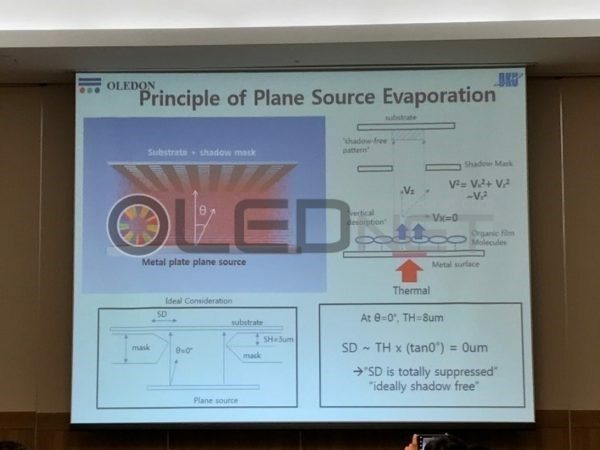 If the 600ppi Soluble process OLED is to be possible? 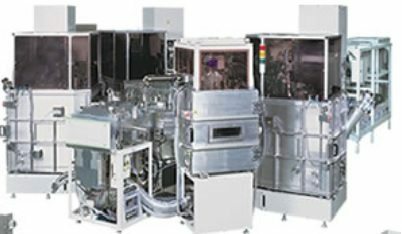 As a company producing ink-jet equipment for the soluble process OLED, Seiko Epson has already developed the ink-jet head which could realize up to 360ppi by arranging the 180ppi nozzles in 2 rows. Given that the resolution of the evaporation method RGB OLED is still in the 260ppi as a real RGB, it is a significantly useful technology in the development of high-resolution display. Seiko Epson developed the technology to maintain total amount of ink in a fixed rate per pixel with the ink volume control and multiple nozzles, and also holds the technology to apply emissive layer evenly on the entire surface of HTL by making the surface of HTL and the contact angle of separation equal. 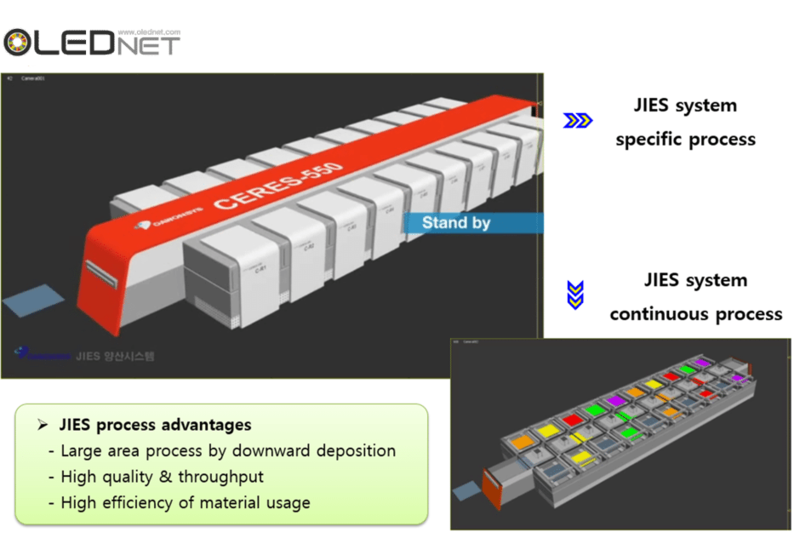 In addition, the productions of the bottom emission OLED as well as the top emission OLED were succeeded in ink-jet. 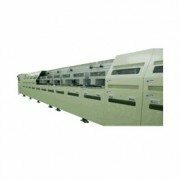 Top emission is possible when the HIL thin layer is applied extremely evenly using special combination of ink as the thickness of HIL layer influences greatly on the optical character. 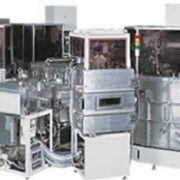 Seiko Epson is planning to develop the 600ppi ink-jet head that arranges the 400ppi nozzles in two rows in order to develop the equipment producing hyper-resolution soluble process OLED. 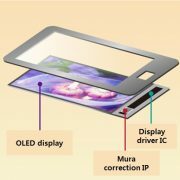 It is anticipated if it is possible to manufacture a hyper-resolution OLED of 600ppi, it will be the moment to replace LCD in the mobile display area for it could easily resolve the greatest weakness of OLED which is high-resolution issue. 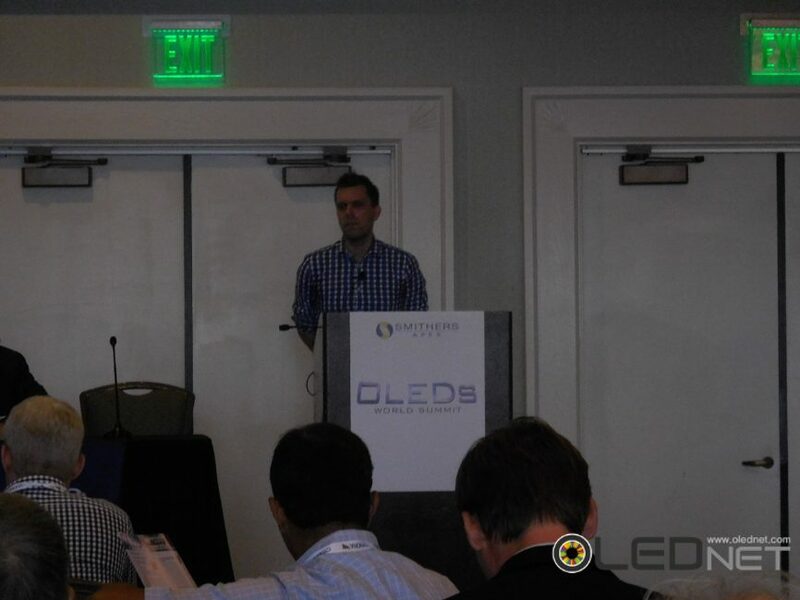 http://olednet.com/wp-content/uploads/2014/12/epson.jpg 269 297 OLEDNET /wp-content/uploads/2015/09/logo_oled.png OLEDNET2014-12-12 18:20:452018-07-11 22:54:34If the 600ppi Soluble process OLED is to be possible? 600ppi Soluble process OLED가 가능해지면? 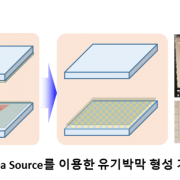 Seiko Epson은 soluble process OLED용 ink-jet 장비를 만들고 있는 기업으로서 180ppi 노즐을 2열로 배치하여 360ppi 해상도까지 실현 가능한 ink-jet head를 이미 개발하였다. 증착 방식 RGB OLED 해상도가 real로서는 아직 260ppi 수준에 머물고 있는 것에 비교하면 고해상도 디스플레이 개발에 매우 유용한 기술이다. 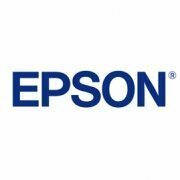 Seiko Epson은 잉크 볼륨 제어와 복수 노즐로서 화소 당 총 잉크량을 일정하게 유지할 수 있는 기술을 개발하였으며, HTL 표면과 격벽면 접촉각을 동등하게하여 HTL 표면 전체에 균일하게 발광층을 도포할 수 있는 기술도 가지고 있다. 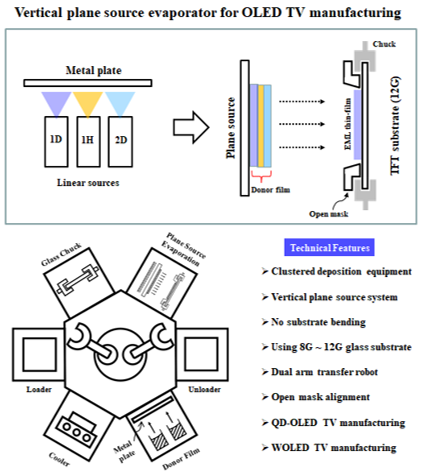 또한 bottom emission OLED 제조와 함께 top emission OLED 제조도 ink-jet으로 성공하였다. Top emission은 HIL의 막 두께가 광학 특성에 큰 영향을 주기 때문에 특별히 조합한 잉크를 사용하여 매우 균일한 HIL 박막을 도포할 수 있어야 가능하다. Seiko Epson은 초고해상도 soluble process OLED를 제조할 수 있는 장비를 개발하기 위해400ppi 노즐을 2열로 배치한 600ppi ink-jet head를 개발할 예정이다. 600ppi의 초고해상도OLED가 제조 가능해지면 OLED의 최고 단점인 고해상도를 문제를 가볍게 해결할 수 있어mobile display 영역에서 LCD를 대체할 수 있는 계기가 될 전망이다. 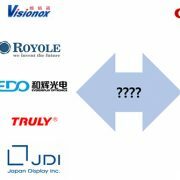 http://olednet.com/wp-content/uploads/2014/12/epson.jpg 269 297 oled /wp-content/uploads/2015/09/logo_oled.png oled2014-12-11 14:42:022018-07-11 22:54:49600ppi Soluble process OLED가 가능해지면? 시장조사업체인 유비리서치에서 발간한 “2014 AMOLED Manufacturing Equipment Technology Analysis and Market Forecast(2015~2020)“ 장비 보고서에 따르면 AMOLED 제조장비 시장은 2015년부터 2020년까지 약 36조원의 시장을 형성할 것으로 예상된다. 노광기 시장이 약 10조원 30%의 점유율로서 가장 큰 시장규모가 될 것으로 나타났으며, 그 뒤로 증착기 시장이 약 6조원 17%로 분석됐다. 2015년에는 중국업체들이 본격적으로 AMOLED에 대한 투자를 시작할 것으로 예상되어 약 6조원의 시장규모가 될 것으로 예상된다. 2017년에는 TV용 AMOLED panel에 대한 line투자가 본격적으로 시작될 것으로 예상되어 2018년에는 약 9조 5천억원의 시장을 형성함으로써 최대규모가 될 것으로 전망된다. 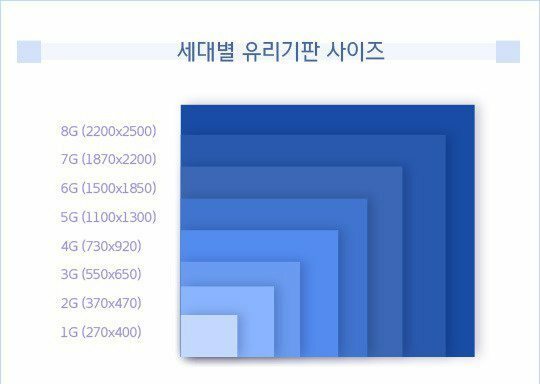 2015년부터 2020년까지 전체 AMOLED 장비 시장에서 TFT용 backplane 제조 장비가 69%, encapsulation 장비 시장이 17%, OLED 제조용 장비 시장이 14%를 차지할 것으로 예상된다. 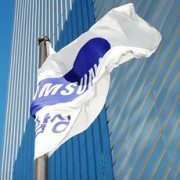 국가별 AMOLED 전체 장비 시장으로서는 6년간 한국이 전체 시장의 55%인 약 20조원 규모로 성장할 것으로 전망하고 있어 앞으로도 한국이 AMOLED 산업을 지속적으로 리드할 것으로 분석된다. 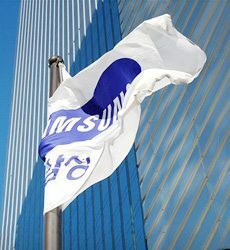 As major equipment companies publicly announced their contracts to supply manufacturing equipment for OLED to Samsung Display (SDC), it is expected that SDC will begin its investment in A3 line in full swing. SDC began its investment with a plan to complete stocking the equipment of A3 line by December. Except encapsulation equipment, PO of the remainder is completed. And order for the encapsulation equipment will be done by August. 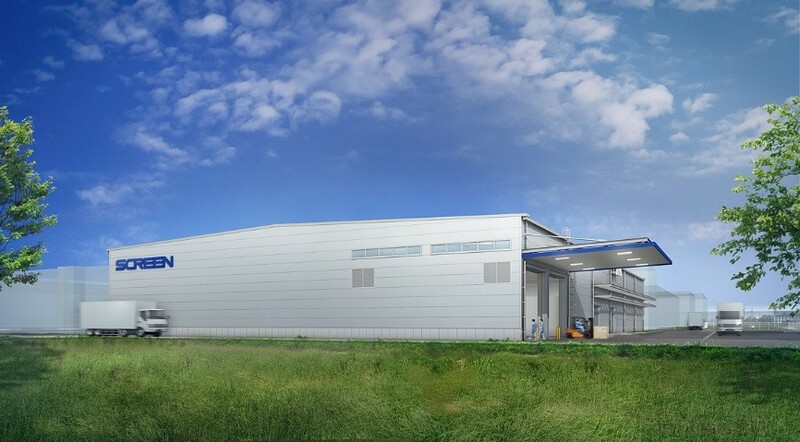 A3 Gen6 Phase 1 Line of SDC for this investment is a flexible exclusive line to mainly produce tablet products and a method to divide a 1850x1500mm substrate in to two (1500x925mm) will be used. The investment is expected to consider mass production of 65” OLED TV panel from phase 2. 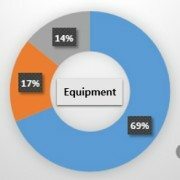 Currently, the amount that the equipment companies publically announced is about 220 billion won but actual mass production may be possible from 1Q of 2015 if supply of equipment is completed by the end of this year. 주요 장비업체들이 6월과 7월에 삼성디스플레이와의 OLED용 제조장비 공급 계약을 연이어 공시함에 따라 삼성디스플레이의 A3 line의 본격적인 투자가 지속될 것으로 예상된다. 현재 삼성디스플레이는 A3 line의 장비 입고를 12월까지 완료하는 것으로 목표로 투자를 시작했다. Encapsulation 장비를 제외한 나머지 부분은 PO가 완료된 상태이며 8월까지encapsulation 장비 발주도 완료될 것으로 예상된다. 이번에 투자되는 삼성디스플레이의 A3 Gen6 Phase 1 Line은 flexible 전용라인으로서 tablet제품을 주력으로 생산하기 위한 것으로 기판은 1850x1500mm size로서 2분할(1500x925mm)방식이 적용된다. 또한 phase 2부터는 65inch OLED TV용 panel 양산도 고려하여 투자할 것으로 전망된다. 현재까지 장비업체들이 공시한 금액은 약 2,200억원 이며 올해 말까지 납품을 완료하게 된다면 실제 양산은 빠르면 2015년 1Q부터 가능할 것으로 예상된다. 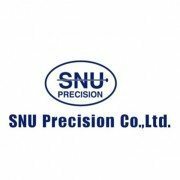 SNU Precision, 일본 장벽 확실히 넘었다! 한국 장비업체인 SNU Precision이 증착장비 시장을 석권하고 있는 Tokki사를 제치고 중국 OLED 기업인 Visionox로부터 Gen5.5 증착장비를 수주 하였다. SNU Precision은 올해 초 BOE의 Ordos 공장에 들어 갈 Gen5.5 증착 장비를 수주하여 입고 완료 한 상태에 있다. 중국에는 다양한 디스플레이 패널 기업이 있으나 현재 AMOLED 패널 사업을 추진 중인 업체들 중에서 가장 추진력이 있는 기업들에게서는 모두 수주를 확보하였다. 향후 BOE는 Ordos 공장에 총 30K의 증착장비 투자를 계획하고 있으며, Visionox는 15K이다. 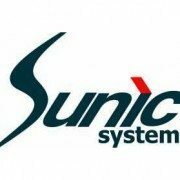 따라서 현재 진행중인SNU Precision의 장비가 원활히 가동되게 되면 추가 장비도 모두 SNU에서 확보할 가능성이 크다. BOE와 Visionox에 입고되는 장비들은 원장 기준으로 각 4K이기 때문에 BOE와 Visionox에서 각 각 7대와 3대를 추가로 발주 받을 수 있는 기회를 가지게 된다. 한국 업체에서 1,000억원대의 증착 장비를 수주한 것은 이번이 처음 있는 일이다. 한국의 디스플레이 업체가 OLED 패널 시장에서 독점적인 지위를 가지고 있는 것처럼, 재료 업계에 이어 장비 업계에서도 한국 OLED 장비 업체의 질주가 예상되고 있다. AMOLED 양산용 증착 장비 수주 기업은 Tokki와 ULVAC, YAS, SNU Precision, SFA-Wonik IPS 5개사이다. 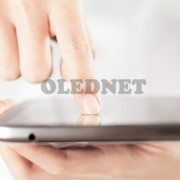 http://olednet.com/wp-content/uploads/2013/12/275.jpg 361 463 oled /wp-content/uploads/2015/09/logo_oled.png oled2013-12-24 16:00:212018-07-11 23:14:34SNU Precision, 일본 장벽 확실히 넘었다! 2009년 3월 후공정 장비 업체인 동아엘텍 박재규 사장은 적자에 허덕이든 선익시스템을 전격 인수했다. LG디스플레이를 주요 고객사로 디스플레이 검사 장비와 OLED 열처리 장비가 주요 제품이었던 동아엘텍은 OLED 산업의 성장성을 일찍 파악하고 OLED 장비 업체인 선익시스템을 품었다. 박재규 사장은 선익시스템을 인수한 가장 큰 이유로서는 선익시스템은 국내 토종 장비업체이지만, 네오뷰코오롱에Gen2 양산 장비를 납품한 선익시스템의 기술력을 인정하였고, 디스플레이와 더불어 OLED 광원 사업의 미래가 밝음을 파악하여 리스크 회피를 최소화할 수 있다고 판단하였다. 박회장은 동아엘텍 창사이후 아직까지 적자를 한번도 경험하지 않은 초우량 회사를 경형하고 있으며 적자인 선익시스템을 인수하여 1년만에 흑자 전환시켰다. 박회장이 손대는 사업에서 성공할 수 있는 이유로서 “반도체와 디스플레이 등의 대형 사업에 몸담고 있는 장비업체의 사장들은 대부분이 삼성과 엘지, 현대 출신이나, 본인은 어디에도 속해 본적이 없어 이들 업체들로부터 도움을 받을 수 없다. 따라서 오로지 기술력에만 집중하여 회사를 운영해 온 노력의 결과”임을 조심스럽게 내비추었다. 2012년 동아엘텍은 300억원의 매출을 올렸으며, 선익시스템은 410억원의 매출을 달성하였다. 올해 선익시스템의 예상 매출은 550억원이다. 동아엘텍과 선익시스템이 글로벌 기업으로 도약하기 위해 수원 고색동에 신규 공장 증설을 결정하였다. 선익시스템과 동아엘텍의 신규 공장으로서 각각 150억원과 90억원의 투자를 결정하였으며 공장 규모는 선익시스템이 연건평 2,500평, 동아엘텍은 연 건평 1,500평 규모이다. 동아엘텍의 공장 착공은 이미 시작하였으며, 7월부터 선익시스템 공장 착공도 시작한다. 국내 토종 증착장비 회사인 YAS가 LG전자의 OLED TV 출시와 더불어 세계적인 기업으로 도약하기 위해 착실히 기술과 전략을 수립하고 있다. LG디스플레이의 M2 라인의 Gen8 증착장비를 제작중인 YAS는 linear source 분야에서는 세계적인 기술력을 이미 검증 받았다. 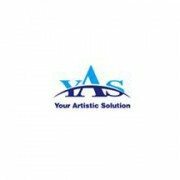 현재 LG디스플레이가 양산중인 M1 라인 증착장비에 YAS의 source가 사용 중에 있다. 일반 증착장비 회사가 다양한 고객 확보를 통한 수익 창출을 목표도 두고 있는 반면 YAS는 고객사의 사업 성공을 목표로 한 철저한 서비스 정신으로 사업에 임하고 있다. YAS의 박영만 전무는 증착장비 사업에서 가장 중요한 정신은 매출이 아니라 자사의 장비를 구입한 고객이 성공적으로 양산에 성공하기 위해 모든 리소스를 동원하여 지원하고, 고객의 사업 성공을 통해 추가적인 매출 확보와 사업 확장을 준비하고 있다고 언급했다. 이번에 LG디스플레이에 납품되는 증착장비로서 양산이 성공하면 추가 발주에서도 YAS가 가장 유리한 입지를 확보할 수 있게 되어 안정적인 사업성 확보가 가능하게 된다. 현재 YAS가 개발한 Gen8 증착장비에 사용되는 linear source는 organic과 metal의 증착 uniformity가 각각 <±5%와<±3%이며, 재료 사용 효율은 50% 이상이다. YAS는 Gen2용 source를 삼성디스플레이에도 판매하고 있다. 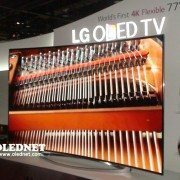 LG디스플레이가 Gen8 라인으로서 OLED TV를 생산하고 있으나 유비산업리서치에서 분석한 최적의 OLED TV 라인은Gen6과 Gen8 2개의 라인을 동시에 보유하는 것이 최상의 조합으로 나타났다. Gen8 line은 유리기판 1장 당 55인치 6매, 46인치는 8매가 제작 가능하나, 65~95인치까지는 2장 밖에 제작할 수 없어 65인치 생산 시에는 재료 사용 효율이 매우 낮다. 110인치는 1장이 제작 가능하다. 이에 비해 Gen6라인은 65인치가 동시에 2장이 제작 가능하며, 32인치는 8장까지 생산 가능하다. LG디스플레이 도입한 Gen8 라인은 55인치bottom emission을 고려한 라인이기 때문에 시장이 55인치에서 65인치로 shift하면 유리 기판 당 2장만 제작이 가능하여 제조 원가가 급상승 할 수 있어 추가로 Gen10 이상의 장비 도입이 불가피하다. 현재 TV 시장은 40인치대에서 50인치대로 이동하기 시작했으며, UD가 본격화되는 2014년부터는 65인치가 메인 시장으로 성장할 가능성이 매우 높다. 이러한 상황을 고려하면 Gen6 라인은 65인치 시장과 32인치 시장에 대응이 용이하며, 이미 장비들은 안정화되어 있기 때문에 수율 확보 역시 용이 할 수 있는 장점이 있는 것으로 분석되고 있다. AMOLED 산업이 급속도로 확장됨에 따라 재료와 부품, 장비의 국산화가 잇따르고 있으나, 핵심 부품인 laser source는 전량 일본에서 수입하고 있는 상황이다. AMOLED에는 다양한 laser 장비가 이용된다. TFT 결정화를 위한 eximer laser를 비롯하여, frit seal encapsulation용 laser, flexible AMOLED를 기판에서 분리하기 위한 LLO (Laser lift off), LITI 전사용 laser, repair를 위한 laser등 다양한 용도에서laser가 사용되고 있다. 이들 장비를 만드는 대표적인 업체들로서는 AP System과 LTS, 참엔지니어링 등이 있지만, 핵심 부품인 laser source는 대부분이 일본 JSW사를 비롯한 해외 업체 제품을 사용하고 있다. Laser source는 파장에 따라 분류되며 고가의 eximer laser등은 JSW사 제품이 대부분 사용되고 있다. 최근 AMOLED 산업 성장에 따라 중국등의 디스플레이 업체들은 국내 디스플레이 업체에 납품 실적이 있는 laser 장비를 선호하고 있으나, 이들 장비 업체들은 국내 고객사의 요구에 의해 해외 수출은 할 수 없는 형편이다. 또한 기존 장비 업체들 역시 laser장비에 대해서는 아직 개발이 미진한 상태여서 수출을 할 수 없다. 이러한 국내 장비 업체의 틈을 타서 가장 이득을 얻고 있는 업체는 laser source 업체인 JSW이다. 최근에는 laser source 뿐만 아니라 laser 장비까지도 해외에 수출하고 있다. 국내 장비 업체들과의 기술 협력으로 확보한 기술로서 전세계 시장을 선점하고 있다. 국내 장비 업체가 세계 시장에서 경쟁력을 확보하기 위해서는 핵심 부품에도 눈을 돌려야 한다. Soft ware와 조립 기술만으로 사업을 영위하고 있는 국내 장비업체가 보다 원천적인 부품 개발에도 힘을 쏟아야만 국내 디스플레이 산업의 성장과 견제가 이루어 질 수 있다. 대기업과의 상생만 요구하지 말고 자생력을 확보할 수 있는 기술 개발 매진이 절실한 시기이다. 국내 AMOLED 업체의 투자가 지연됨에 따라 대면적 AMOLED 장비 시장은 한숨 돌리고 있으나, 해외 디스플레이 기업들이 AMOLED 시장에 진입하기 위해 연이어 LTPS 라인 도입을 서두루고 있다. 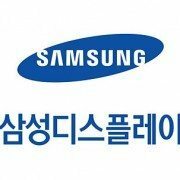 AMOLED 장비는 TFT 기판 제조 장비와 OLED 장비, 봉지 장비, 평가 장비, 물류 장비들이 있으며, 그 중에서 가장 시장이 큰 부분은 역시 TFT 제조 장비이다. 현재 평판디스플레이 업체들은 대부분이 TFT-LCD를 제조하고 있는 기업들이나, 삼성과 LG를 제외하면 적자를 면치 못하고 있다. 이들 업체들이 AMOLED를 제조하기 위해서는 LTPS 라인을 신규로 투자하는 방식과 기존 LCD 라인을 보완하여 OLED 라인으로 개조하는 방식이 있으나, 영업 손실이 큰 업체들이 선택할 수 있는 방안은 보완 투자가 현실적이다. 신규투자든 보완 투자든 반드시 새로 장비를 구입해야하는 부분에는 a-Si을 결정화 시킬 수 있는 장비와 활성화 장비가 필요하다. 이들 기술에는 열처리 장비, 즉 오븐에 관련된 장비가 필수 장비이다. 마찬가지로 oxide TFT에서도 반드시 열처리 장비가 필요하다. 국내 기업들에는 테라세미콘과 비아트론이 열처리 장비 시장의 맹주로 자리잡고 있다. 테라세미콘은 삼성디스플레이에, 비아트론은 LG디스플레이에 장비를 공급하고 있어, 이들 2 기업은 삼성과 LG의ㅣ투자에 따라 기업 성장이 매우 빠를 것으로 예상된다. 열처리 장비는 라인 당 약 4공정에 사용되며, 장비 가격은 Gen8 in-line용으로 대당 약 100억원에 달한다. AMOLED 선구자이며 독점적인 위치를 확보하고 있는 삼성디스플레이에 55인치 TV용 AMOLED 생산을 위한 3호기 SMS 증착장비가 올 9월 입고될 예정이다. 현재 삼성디스플레이는 SMS 장비를 2대 보유하고 있으며 ULVAC에서 제작한 장비를 사용하고 있다. 현재까지의 장비는 아직 양산성이 확보되지 않아 제품 개발에 매우 어려움을 겪고 있다. 3호기는 SFA에서 제작 중에 있다.이 장비는 9월중에 입고될 예정이며 시험 테스트를 거쳐 2013년부터는 본격적인 양산에 투입될 것으로 예상 된다. SMS 3호기 입고에 맞추어 대부분의 장비들 역시 9월에 입고될 예정이다.SMS 장비는 삼성디스플레이가 독자적으로 개발한 장비로서 in-line 방식으로 연속 증착이 가능한 장비이다. 삼성디스플레이는 현재 LTPS TFT 기판과 SMS 증착장비로서 55인치 패널을 개발중에 있으며, LTPS 기판은 Gen8 (2200×2500) 크기로서 55인치 패널이 6장 제작 가능하다. SMS 장비는 기판 크기가 55인치 1장이 제작 가능한 730×1250 사이즈로 알려져 있다. SMS 장비는 기존 증착장비 회사가 제작하고 있는 장비와는 달리 증착물질을 증발 시키는 소스와 마스크가 일체형으로 붙어 있으며, RGB를 색상 별로 패터닝하여 제작할 수 있는 기술이다. 현재 증착방식에서 가장 큰 문제는 대면적용 마스크 제작이 어려운점이나 이 방식은 조그만 크기의 마스크로서도 대면적 패널 생산이 가능하다. OLED 증착장비 업체인 선익시스템의 증착장비 시장 점유가 시간이 갈수록 높아지고 있다. PMOLED용 Gen2 양산 장비 납품 실적이 있는 선익시스템은 조명용 OLED 시장에서 국내를 비롯하여 유럽과 중국에까지 Gen2급 장비 시장은 석권하고 있다. 또한 재료업체들이 재료 테스트를 위해 사용하는 200×200 장비 시장은 국내 재료 업체와 유럽, 미국의 재료 업체들 역시 모두 사용하고 있어, 전세계의 재료 업체들이 국내 AMOLED 기업에 재료를 공급하기 위해서는 당연히 선익시스템의 장비를 사용하여야 되는 것으로 여기고 있다. 2013년 현재에도 200×200 장비 발주가 지속되고 있다. 선익시스템은 2011년에 약400억원의 수주를 확보하였으며, 2012년 8월 현재 이미 약 300억원의 장비 수주를 확보했다. 최근에는 중국 조명업체인 First O-Lite에서 선익시스템에 Gen2 장비를 발주하였다. 특히 OLED 조명 시장에서는 Gen5.5급 장비가2013년부터 발주가 시작될 것으로 예상되며, 이 시장에서는 당연히 선익시스템이 대부분의 장비를 수주할 것으로 예상된다. 2012년 예상 Gen5,5 장비 발주 업체들은 LG화학과 Panasonic 등이다. 선익시스템의 매출 성장에 따라 모회사인 동아 엘텍 역시 후공정 장비에서 수혜를 볼 것으로 판단된다. 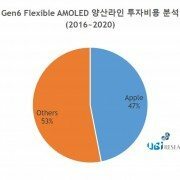 AMOLED 산업이 본격화됨에 따라 OLED 증착장비 업체의 사업 전망 역시 매우 밝아지고 있다. AMOLED 패널 제작용 장비는 아직 일본 TOKKI사의 장비가 대부분 사용되고 있으나, 국내 장비 업체의 분발 역시 기대되는 수종 사업 영역이다. 국내 업체들 중에서 AMOLED용 증착장비를 납품한 실적이 있는 회사는 SNU Precision과 YAS 2개 회사가 있다. SNU Precision은 중국의 Tianma와 BOE에 2세대급 증착장비를 공급하였다. Tianma는 SNU Precision 장비로서 개발한 12인치와 4.3인치 AMOLED를 2012년 3월 개최된 FPD China에서 성공적으로 전시하여 국내 증착 장비로 AMOLED가 제작 가능함을 최초로 입증하였다. 중국 최대 디스플레이 업체인 BOE 역시 SNU Precision 장비로서 AMOLED를 개발 중에 있다. 중국 기업의 AMOLED 기술 실력은 국내 기업에 비해 매우 낮지만, 차후 중국 시장에서 SNU Precision은 시장을 확보할 수 있는 유일한 국내 기업이 될 것으로 기대된다. 더불어 SNU Precision에서 생산하는 각종 검사장비 사업에도 시너지 효과가 있을 것으로 예상된다. SNU Precision은 국내 AMOLED 시장에서도 가장 확실한 미래가 보장되는 기업이다. 현재 삼성SMD는 유리 기판을 사용하는AMOLED 만을 생산하고 있지만 2012년 연말부터는 flexible AMOLED 생산을 계획하고 있으며, 여기에 사용되는 thin film encapsulation 장비는 SNU Precision의 장비이다. 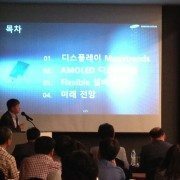 2012년 연말에 삼성SMD가 성공적으로 flexible AMOLED 생산을 하게 되면A3 라인은 flexible AMOLED 라인이 될 것으로 예상되며, A3 라인의 thin film encapsulation 장비 시장은 SNU Precision이 독점적으로 확보할 것으로 분석된다. SNU Precision은 중국 시장에서의 경험을 바탕으로 OLED 광원용 증착장비 사업에서 적극적으로 영업활동을 하고 있다. YAS는 연세대학교 정광호 교수가 사장을 역임하고 있는 벤처기업으로서 증착 소스 개발을 전문으로 하였으나, 현재 LGD에서 사용중인 55인치 AMOLED용 증착장비를 직접 제작하고 있는 장비 업체로 자리를 잡고 있으며, LGD가 2013년 본격적으로 추진할 대면적 AMOLED용 M2 라인은 YAS가 제작하여 공급할 것으로 알려져 있다. LGD는 현재 YAS에 투자를 하여 LGD에 안정적인 장비 공급이 가능하도록 지원하고 있다. 8세대 장비 사업분야에서 처음으로 성공하는 사례가 될 것이며, LGD의 대면적AMOLED 양산 성공시에는 OLED 증착 장비 시장에서 가장 성공하는 한국 기업이 될 것으로 분석 된다. 이들 기업 외에 성장이 가능한 업체로서는 원익IPS가 있다. 원익IPS는 두산메카텍이 보유했던 4세대급 장비를 인수하여 장비 제작 기술을 습득하고 있으며, 대면적 OLED 장비 시장에 진입하기 위한 준비를 하고 있다. 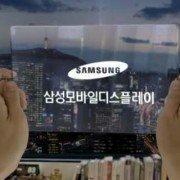 LG디스플레이가 Flexible OLED 생산라인 구축을 위한 투자를 시작했다. 주성엔지니어링은 113억 8500만원, 아바코는 75억9000만원 규모로 OLED 제조장비 공급계약을 체결했다. 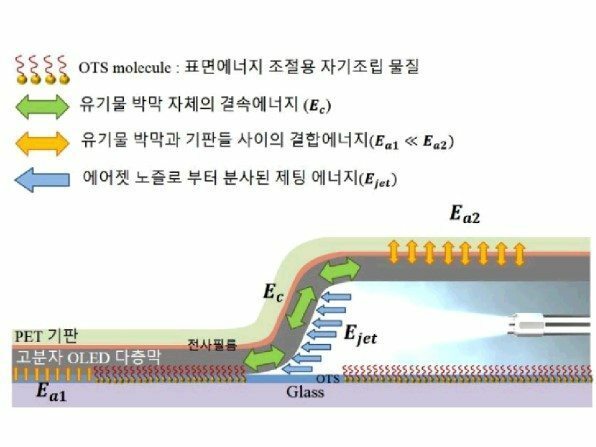 주성엔지니어링, 아바코가 LG 디스플레이에 제공할 장비는 경기도 파주 사업장의 3.5세대 Flexible OLED 제조라인에 들어갈 장비이다. 주성엔지니어링과 아바코는 Encapsulation 장비에 주력하고 있다. 2011년 LG 디스플레이는 파주 공장에 Flexible OLED 연구개발 라인 (E2)를 구축한바 있다. 이번 투자는 이 파일럿 라인을 증축하기 위함이며, 투자규모는 약 2000억원으로 알려져 있다. LG 디스플레이의 Flexible OLED는 SMD와 같은 RGB 방식을 사용한다.